This is just the beginning. We make our sofas one at a time and by hand to meet your request. Start here, or in one of our showrooms, and we’ll be happy to guide you through the process of choosing each detail, from frame proportions (including arm height and seat depth), to cushion fill, leg shape and upholstery details (we’re known for our fabric matching). Our customization options are nearly limitless; there’s no client we can’t satisfy. 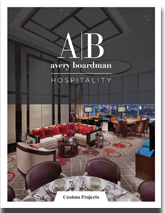 As you know, almost all Avery Boardman sofas can be sofa beds (we’re told nobody does it better). 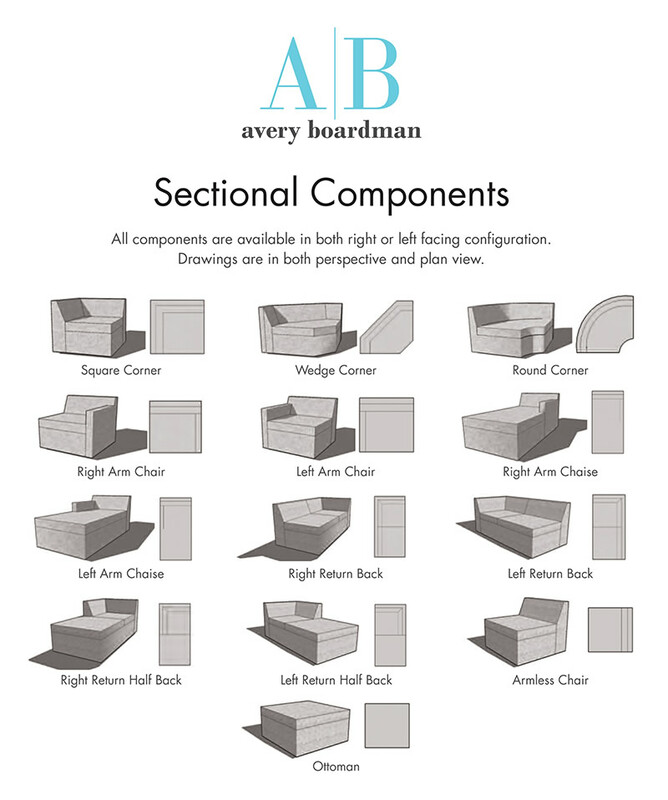 View our standard sectional sofa configurations. 87" 83" 76" 59" 46" 36"
37" 37" 37" 37" 37" 37"
35½" 35½" 35½" 35½" 35½" 35½"
Note: Some images depict throw pillows, which are not reflected in yardage estimate.